Nearly 300 hotspots were detected over Sumatra and Kalimantan on Monday. By Wednesday, that number had dropped somewhat, though authorities said they expected the fires to increase as Indonesia enters the dry season. Police in Riau arrested a man for burning a small plot of land, while the NGO Walhi said authorities should focus on burning by large companies. Satellites on Wednesday recorded 145 fire-linked hotspots over Indonesia’s main western island of Sumatra, down from 245 on Sunday, according to the country’s disaster management agency. It’s a far cry from last year’s crisis, when thousands of forest and peatland fires raged across the archipelagic country during the extended dry season brought on by El Nino, sending toxic haze pollution billowing across the region. But the uptick in hotspots signaled this year’s burning season may already be getting underway. The province with the most hotspots on Wednesday, with 64, was Riau, whose vast peat swamp zones have been widely drained for palm oil and pulpwood production. The dried peat is highly flammable, and fires set by planters to clear land cheaply often spread out of control. A cluster of hotspots also showed up in North Sumatra province, according to Global Forest Watch. In Kalimantan, the Indonesian part of Borneo island, 43 hotspots were detected on Monday, though the number has since dropped significantly. “Most of the hotspots are a result of intentional burning,” disaster management agency spokesman Sutopo Purwo Nugroho said. 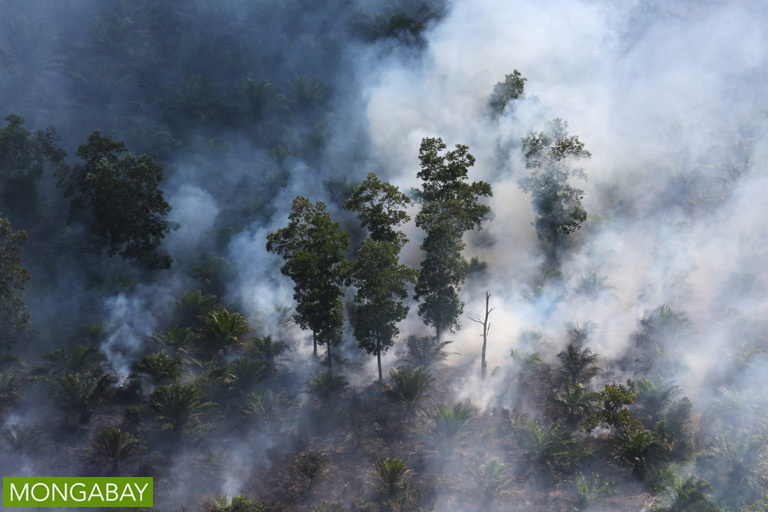 In Riau on Monday, authorities arrested a man for using illegal slash-and-burn practices on a small plot of land, part of a joint effort by military, police and environment ministry officials to crack down on firestarters. In neighboring Jambi province, one of the most-burned last year, police said they had transferred four cases against company executives to the attorney general’s office. The suspects are Suwaiyah binti Abdullah, an employee of the Sinar Mas conglomerate; Darmawan Eka Setia Pulungan, estate manager of PT Agro Tumbuh Gemilang Abadi; Munadi, operations chief of PT Ricky Kurniawan Kertapersada; and Iwan Worang, director of PT Dyera Hutan Lestari. The Jambi Police are processing cases against four other companies. At a press conference last week, a police spokesman would not disclose the firms’ names. 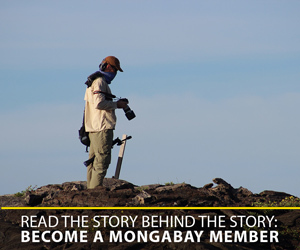 Mursi Nauli, head of the Indonesian Forum for the Environment’s (Walhi) branch in Jambi, said the authorities should pay more attention to larger operators. “The police are only handling the small companies, not the big companies,” he said. By Walhi’s calculations, last year’s disaster cost Jambi more than 6 trillion rupiah ($454 million). The World Bank has put the total damage to Indonesia’s economy at $16 billion. 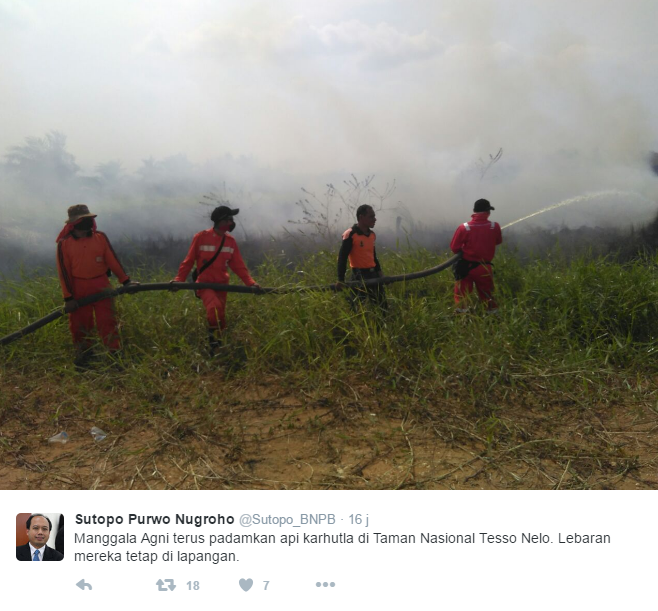 Nauli said 70% of plantation firms in Jambi lack basic firefighting equipment and infrastructure, and urged the government to perform spot checks every six months. Singaporean volunteer group the People’s Movement to Stop Haze (PM.Haze) hopes to raise funds for a canal-blocking project in a peatland in Malaysia’s Raja Musa Forest Reserve, which has also seen haze-causing fires. “With this canal-blocking project, we hope to bring this experience to our volunteers, while demonstrating how people in Singapore can work with our neighbours to solve this regional disaster,” PM.Haze president Tan Yi Han said.